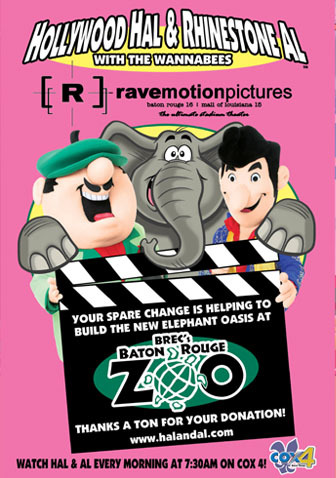 Help Hal & Al help the Baton Rouge Zoo!! 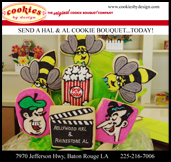 at both Rave Motion Pictures locations in Baton Rouge! Hal & Al have found a NEW home! 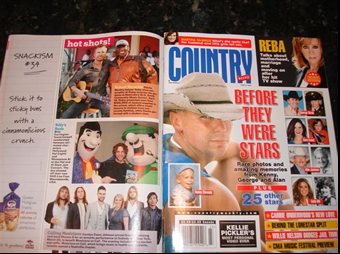 It all kicks off May 1st 2007! 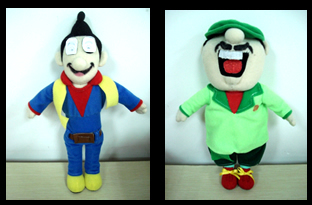 Hal & Al Plush Figures in production! 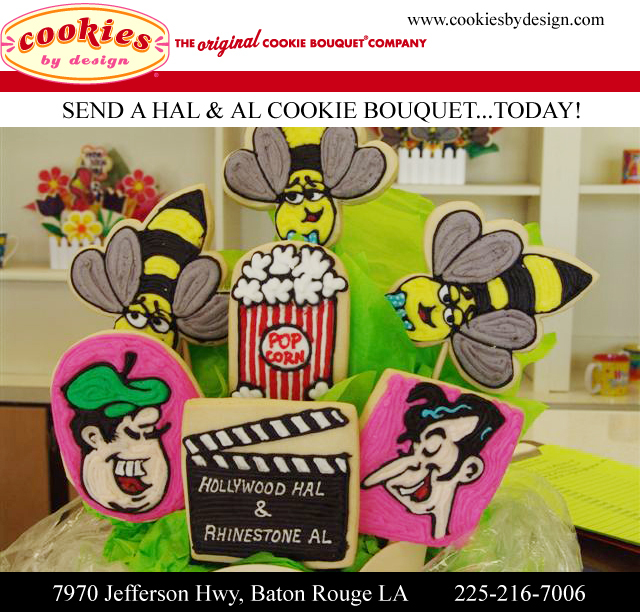 SEE THE HAL & AL TV SPOT! 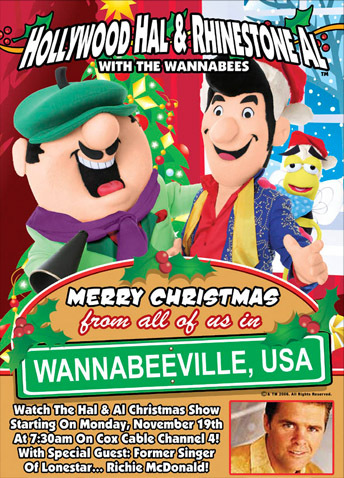 Check out the NEW HAL & AL RIDE!! 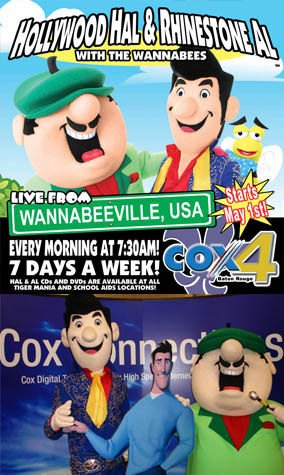 Check out the NEW HAL & AL Billboards! HAL & AL's NEW Bumper Sticker!! 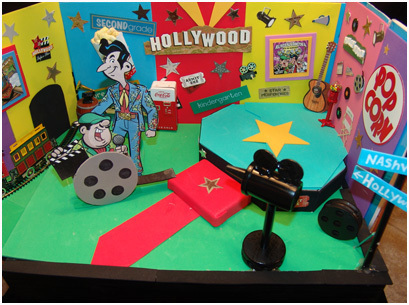 HAL & AL TV SHOW SET DESIGNS! 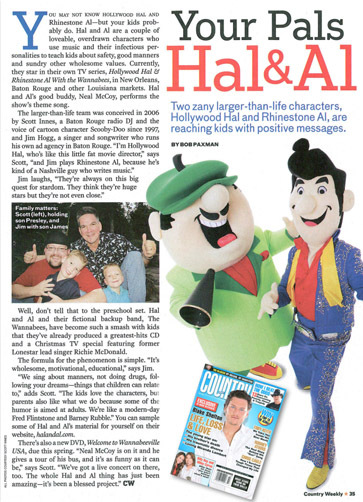 to sing the HAL & AL Theme Song! 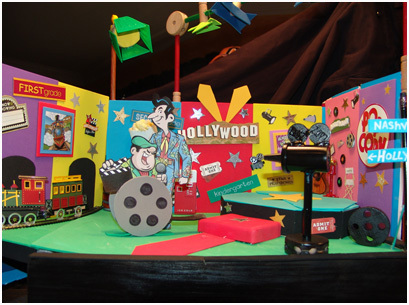 School readiness is a critical issue for student success in preschool and kindergarten programs. The primary criterion of school readiness is being teachable; i.e., listening, following directions, playing cooperatively, sharing. 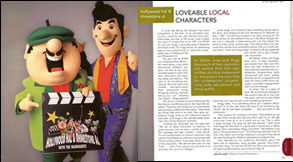 Hal and Al's latest CD and DVD projects provide meaningful lessons and great educational tools for children to help them become ready for school. 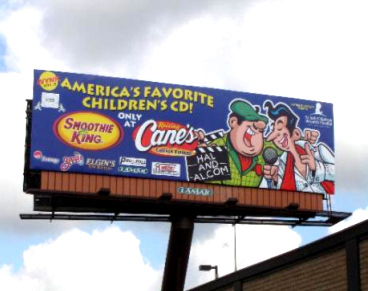 I believe Hal and Al is must for preschool and kindergarten children". 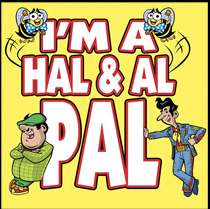 THE NEW HAL & AL T-SHIRTS!